In: Proc. IEEE VR 2019 (Poster Paper). IEEE. In: Proc. WWW 2017 (Games, Simulations and Interactive Environments Track). ACM. ACM SIGWEB Newsletter Spring 2016, 2016. ACM. Constructions and Frames Special Issue. John Benjamins Publishing. In: Proc. CIKM 2014. ACM. Association for Computational Linguistics, 2014. In: Proc. ECIR 2013. Springer LNCS. universaar - Saarland University Press, Saarbrücken, Germany. 192 pages. ISBN 978-3-86223-028-0. 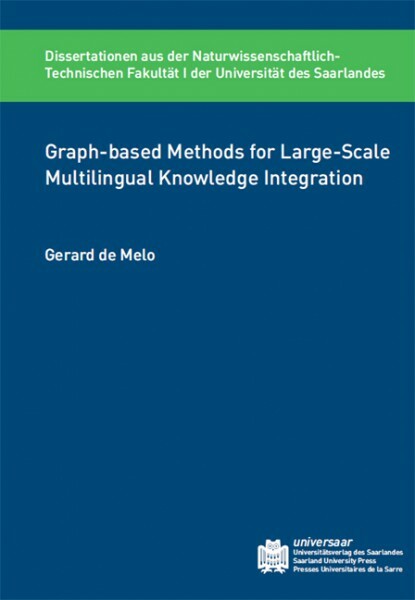 Language Resources and Evaluation Journal 46:2, p. 287-311, Springer Verlag, Dordrecht, Netherlands. it - Information Technology 54(3), Oldenbourg. In: Proc. LREC 2012. ELRA. In: Proc. LREC 2012 Workshop on Language Resources for Public Security Applications. In: Ausgezeichnete Informatikdissertationen 2010, Gesellschaft für Informatik LNI D-11. In: Adam Pease. Ontology: A Practical Guide (Book Chapter). Articulate Software, USA. ISBN: 1-889455-10-5. Doctoral Dissertation, Saarland University, 2010.